Since the good fellow isn't here and was not addresed, very funny. I have a monocle, too, don't you know? There is more justification that the State of Washington can set requirements to who they print on their ballots as long as they are universally applied to every candidate than there is for Florida's decision not to count ballots in Bush v Gore. Mueller has unloaded even more than previously known on the SDNY. Even if Pence pardons him, NY will take every penny he has. NY state may go after Trump, but SDNY is a federal, not state, court. Really they're holding him to something he said he would do, in regard to his tax return. I said nothing to suggest that Trump is guilty of something. I said nothing to suggest that Dems are convinced of that. I said they are almost certainly looking for evidence of wrongdoing, but you do that in order to determine whether one is guilty. Trump will give that to himself shortly. Wouldn't that also be true for all the water they sprayed on it with hoses? To be fair, plenty of actors, athletes, etc. have received this medal. Not if it's Holy Water. It's "magic". But is that the role of Ways and Means? He also said Mexico would pay for the wall, why aren't they helping him keep that promise? Or, if you want something realistic, removing the ban on interstate sales of health insurance? I really don't think they are trying to help Trump. Nor is it their role to do so. 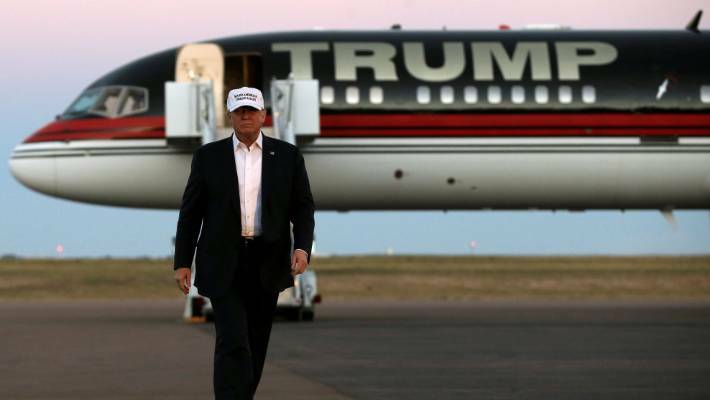 I rather think by "rebranding", Trump means Boeing should rename it the "Boeing 737 Trump Bigly", with his name in the biggest letters down the side. Trump signs EO in 2017 on Keystone XL. Fed judges rule pipeline illegal. Trump sign super duper EO that "judges can't overrule." What? How do you know it was corrupt? What an idiot. Sadly, it's just not surprising coming from the man who claimed he'd be too busy as president to golf but spends more time on the golf course than any other president in history. It shows where his priorities lie. Firefighters don't spray at the fire they spray over it to cool the air until it's to cold to ignite. They would also douse everything near the fire to slow the spread but it's a rookie mistake to directly target the hottest spot. It's not as if he does much work when he's in DC - which is good, given how his only interest is in harming as many people as he can for personal gain. The real problem with his constant golf outings is that he's almost certainly blabbing state secrets in the presence of people who he's supposed to be protecting said secrets from. Pretty sure the reliable security folks make sure that neither Trump nor any of his "unsafe" team get told the really juicy bits that would cause real problems if they blabbed. More likely they tell them soft stuff that only makes them feel privileged and "in the loop", like what the Chinese Chairman had for breakfast. ...He's a strong follower of Republican Jesus, he says? Sounds about right. I am, however, surprised that he hasn’t given one to any of his kids. Last edited by Ladewig; 15th April 2019 at 09:30 PM. Thanks, that saved me a snarky answer I might have regretted. Pretty sure you are the only one that has doubts about what I said. Your allies have a high willingness to believe you. Here's the list. In golf, the last winners were Charles Sifford, Jack Nicklaus and Arnold Palmer. Ah, trying to get the evangelicals to support him. What a standardbearer for Christian values this guy's been! Because a, he's already been blocked on that. And he's been running into continuous blockades as he shifts towards different methods of getting funding for his project. It's a different department addressing it, essentially. The Democrat platform is that in lieu of a better proposition from Republicans it's better to keep or fix issues with the Affordable Care act or simply expanding the scope of current programs. In this case it would be a fight for Republicans who want this done, something they seem unwilling to do. Ban on interstate sales is a good thing from the Democrat view. Yeah of course they're not trying to help him. He's been boasting about his wealth and success and promising to release his tax returns. His repeated refusal to follow through on that is suspicious, especially given the historical precedent of previous presidents doing so. Coupled with his previous issues with money and issues of money laundering its suspicious. Either its because of a relatively small issue that he's making a big deal of not following his promises on, or it shows technically legal but scummy money sources. So no water would ever come in contact with those overheated stones? Point is: putting out fires should be a precision job, if at all possible. Just dropping a ton of water on it is not as precise as is desirable. The French authorities felt it necessary to put out a statement that Trump's idea would be really bad in this case. Water probably shouldn't come in contact with Trump, either. He'd probably melt like the Wicked Witch. "Veuillez nous excuser pour notre crétin orange."